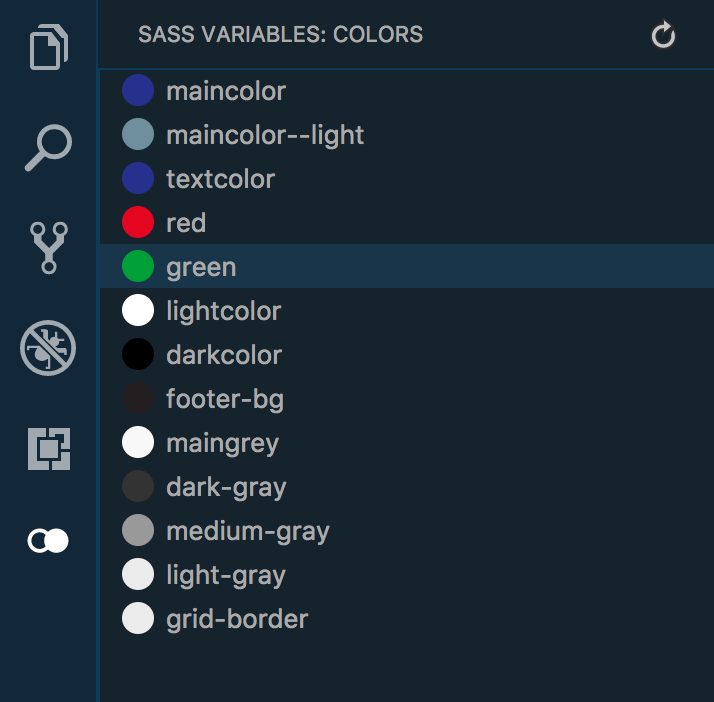 Visual Studio Code>Other>Sass Variables HelperNew to Visual Studio Code? Get it now. This extension add a new tab in your activity bar with a Tree View of your Sass colors variables. Get an overall look at all your colors easily and copy the associated variable in one click.